WordCamp Zaragoza is coming up next week on January 26-27, 2019. We are really happy to interview Alejandro from the WordPress Zaragoza Community ahead of the event. You can find Alejandro on Twitter and everything about WordCamp Zaragoza on the event website. Thank you Alejandro for taking time to talk with us! 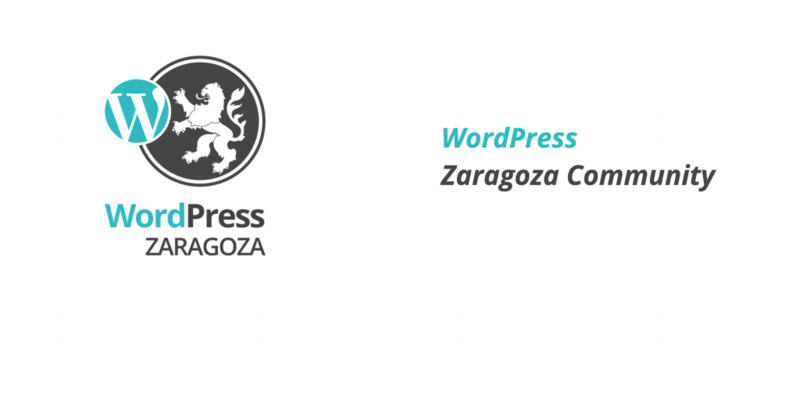 Who is the Zaragoza WordPress community? My name is Alejandro Gil, and I started the WordPress community in Zaragoza in October 2015. However, nowadays there are four more people in the organization: José Javier Peleato, Israel Escuer, Priscilla Bocage, and César Frisa. We set off with a simple meeting in a bar, to get to know each other a little bit better and chat about our common interests: WordPress. Since that first meetup with only around 10 attendees, we have kept meeting once a month and we have kept growing to the point of organizing now meetings for over 50 people. It is really gratifying to collaborate with the local community and learn all together! My path has been somewhat eclectic. I started studying Art History, but I ended up doing Software Development studies. I started working as a programmer, and after two years in a private company, I founded my own web development and marketing company, Café con Web, with two colleagues (Héctor Asensio and Miguel Ángel García). Working in this company, I started using WordPress, 10 years ago. In all these years I have kept learning more about WordPress, organizing events, marketing, social media, etc. Currently, I also work as a teacher… and I have discovered my true calling! I love teaching and contributing as I can. Apart from teaching in different centers and at certain events, my everyday work is at Aula CM Zaragoza, a digital marketing school in my city. I am a restless person, and probably because of this, another passion of mine is traveling. I have been in over 100 cities in 10 different countries, and my goal is to make those number keep going up! As I mentioned earlier, I started using WordPress almost 10 years ago. I started a web development and marketing company and I needed to speed up the process of creating websites. It was then that I discovered WordPress. Since then, I started loving it. The more I learned about it, the more I used it, and the more I have used it, the more I have wanted to learn about it. WordPress is a tool that helps you create any kind of website in a simple way. Besides… there are so many people behind this project that it is so easy to learn from them! The WordPress project has allowed me to learn, teach, travel… all of my passions put together! I found out about the community at an event called Open Expo, in Madrid. There, I heard about WordPress meetups. However, it wasn’t until the WordCamp Europe held in Seville in 2015 that I started to see what the WordPress community really was, who was behind it all, and why they were all so motivated. I met Rocío Valdivia, Fran Torres, Rafa Poveda… They are all great! That event was all about good vibes! I learned a lot, I visited Seville, and I met people from so many different places… Those good vibes touched me deeply and that is why I wanted to start my contribution to the WordPress community that same year. Today you’re playing a key role in the WordCamp organization, tell our readers more about the biggest challenges, the innovations and the new trends of the WordCamp Zaragoza. I have been the organizer of so many events. In 2011, I organized a digital marketing congress for 500 attendees… It was such a challenge! Since then, every year I organize several different events, so… WordCamp is not my first rodeo in event organization. Nonetheless, you always learn something new. Organizing a non-profit event is quite different from others. In my opinion, it is easier and more rewarding. This year, the organizers of WordCamp Zaragoza have proposed ourselves several new challenges: being more inclusive and attracting more local people. With respect to the first issue, we have tried to make the attendance easier for everyone. For instance, we have set up a childcare area with games and activities for kids, so attendees who have children can come to our event. Regarding the program, we have tried to offer talks and workshops for everyone, so you may learn something new whatever your level of knowledge about WordPress may be. From the most basic level to the most technical one. Additionally, we are making an extra effort to spread the word about the event around local businesses, making posters, writing emails, calling agencies… We want all companies in Zaragoza to know about WordPress and WordCamp! In fact, this year we expect to have 300 attendees. A real challenge for an event organized exclusively by volunteers. I wish there was a magic formula! My recipe is working hard and enthusiastically. And trying to involve as many people as possible, even if that is in small tasks. Strength comes in numbers and, working together, people grow fonder of each other! What does Zaragoza WordPress community have in the pipeline? Apart from the upcoming WordCamp Zaragoza on January 26-27, we are preparing our next meetups, where Gutenberg is going to be a key issue. We want to get ready and help this huge change be a positive aspect for everyone. Also, we are coordinating quite a big number of people to make a new website for our local community, so it becomes a shared project and we all can learn something together from its development.